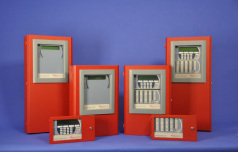 SST offers a variety of fire and gas alarm control panels. 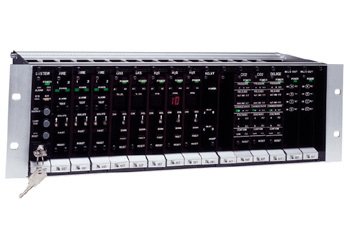 The VulcanGuard Series is the latest model of it’s predecessor, the NOVA-5000 Series. This system is ideal for large installations where it gives you unlimited zones and it is highly versatile which can be installed in a wall-mounted or free standing enclosure. It can even be installed in industry standard 19 inch racks that may already be in existing installations. SST is also an authorized distributor of Kidde and offer’s the Aegis conventional fire alarm system as well as it’s Aries addressable system. The VulcanGuard Fire and Gas Alarm Control Panel is a conventional modular fire and gas control system customized for each installation by selecting from a number of different control modules to perform the required functions. 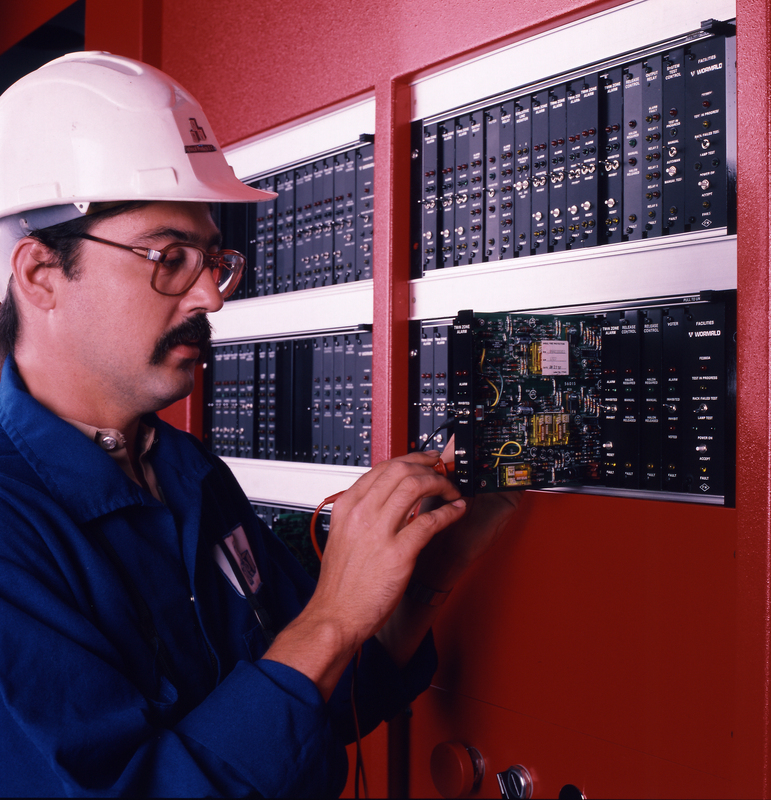 The selected assortment of modules plug into one or more racks, which interconnect the modules to perform the required protection functions. 5 Year Warranty. Made in the USA. The VulcanGuard Fire Alarm Control Panel is a conventional modular fire control system to monitor all of your fire detection equipment such as your flame detectors, smoke detectors, heat detectors, and manual pull stations. The system is customized for each installation by selecting from a number of different control modules to perform the required functions. The selected assortment of modules plug into one or more racks, which interconnect the modules to perform the required protection functions. 5 Year Warranty. Made in the USA. The VulcanGuard Gas Alarm Control Panel is a conventional modular gas detection control system to monitor all of your combustible gas, toxic gas, and oxygen deficiency/enrichment sensors and detectors. The system is customized for each installation by selecting from a number of different control modules to perform the required functions. The selected assortment of modules plug into one or more racks, which interconnect the modules to perform the required protection functions. 5 Year Warranty. Made in the USA. 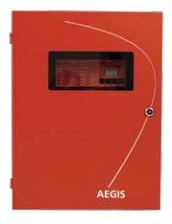 The Kidde AEGIS is the technologically most advanced Conventional Single Hazard Agent Releasing Unit available to the Fire-Alarm Suppression industry today. It combines the high quality, system reliability, and flexibility required by modern commercial, high-tech and industrial applications in an aesthetically pleasing and physically robust package. The ARIES NETLink™ is one of the most technologically advanced intelligent fire alarm-suppression-focused control units available to the industry today. It combines the high quality, system reliability, and flexibility required by modern commercial, high-tech and industrial applications in an aesthetically pleasing and physically robust package. Its modular architecture enables easy field expansion from the base 2-SLC unit that supports 510 addressable devices (255 per circuit) to an 8-SLC system capable of 2,040 addressable devices. Despite its compact fit-between-wall-studs dimensions, the ARIES NETLink is designed to be quick and easy to install. Cutting edge technologies incorporated in the electronics design enable diagnostics for time-efficient commissioning. NOVA-5000 Detection and Control System is customized for each installation by selecting from a number of different control modules to perform the required functions. 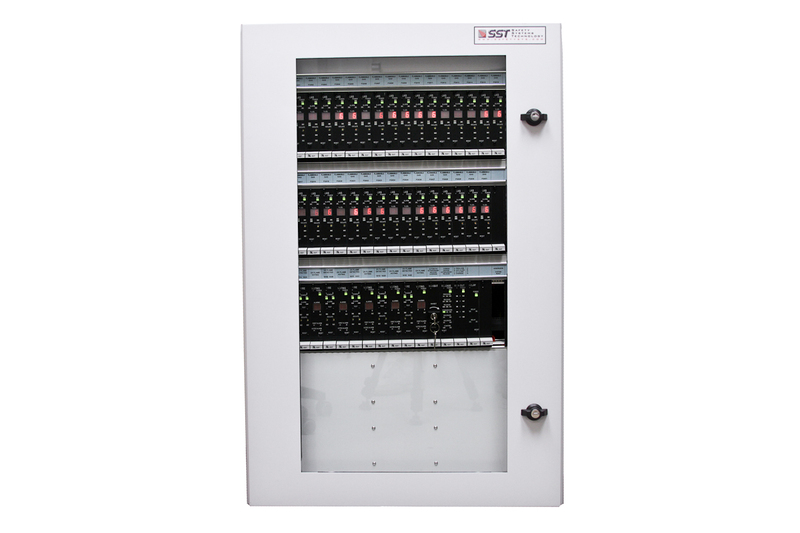 The selected assortment of modules plug into one or more racks, which interconnect the modules to perform the required protection functions. NOVA-5000 Detection and Control System is an overview of the entire system and details some of the many functions available by selecting the various available modules.